Arefa Tehsin ( https://arefatehsin.com/) makes science and nature fascinating whether it is for the child or the adult reader. The illustrations that break up the text are fabulous. Somewhere a cross between authentic line drawings of the creatures being described and an illustration for a children’s book. These enable the young reader to identify the insects and birds described in the environment around them. A very useful and functional aspect. Learning and sensitivity begins at home. So if children can be imparted accurate information about the significance of animals in the eco-system rather than be hostile towards creatures they do not understand, who knows there may be hope in conservation efforts in the future. Unfortunately the illustrator for the full page drawings tipped in and the tiny drawings scattered over the pages has not been acknowledged on the cover or the title page. Nor is there a blurb describing the illustrator beneath the author blurb. I am assuming it is Sayantan Halder since the copyright page says the illustration copyright rests with him. The back cover only acknowledges him for the book cover illustration. Very confusing and not very correct! Given that this stupendous text has been brought to life by the line drawings that complement it. Surely the illustrator could have been given due credit? 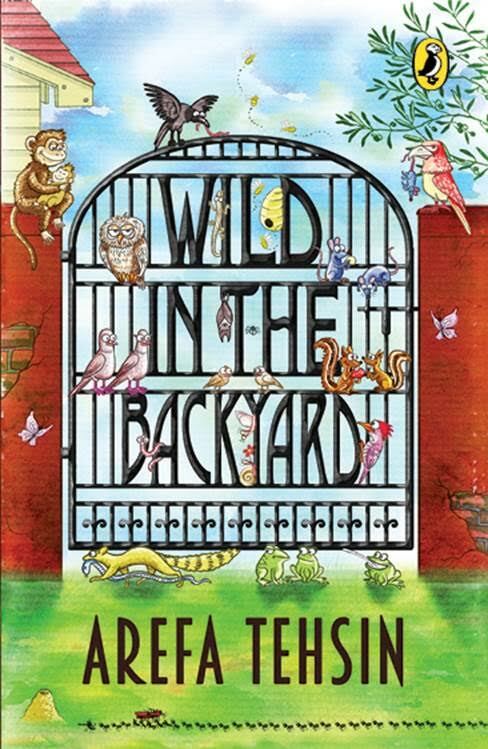 All said and done, Wild in the Backyard, is a must in every school and personal library. It is a brilliant book that shares information about the environment in an accessible manner without preaching to the young readers. It is a book for keeps. 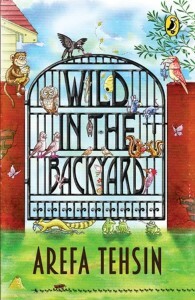 Arefa Tehsin Wild in the Backyard Puffin Books, Penguin Books, India. 2015. Pb. pp. 230. Rs 199.